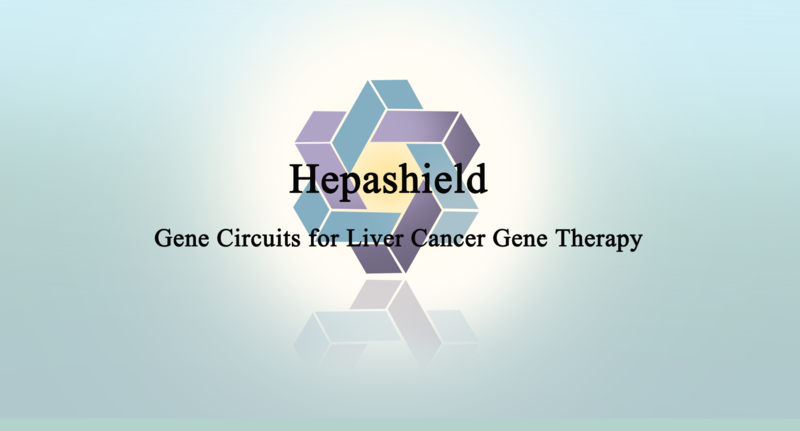 The goal of our team is to develop a sensitive system to specifically kill liver cancer cells via genetic circuits, by using the combination of liver cancer-specific promoters and miRNAs.The expression of Gal4-VP16 fusion protein was under the control of liver cancer cells-specific AFP, hTERT or ZEB1-AS1 promoters. The Gal4-VP16 in turn drives the HSV-thymidine kinase (HSV-TK) expression by binding to nine tandem UAS elements in the promoter. Furthermore, the expression of Gal80, a Gal4 inhibitor, is controlled under a CMV promoter as well as a cluster of miRNA93/miRNA-362-5p/miRNA-221 binding sites at the 3’-end. As miRNA93/miRNA-362-5p/miRNA-221 are liver cancer cells-specific miRNAs, the expression of Gal80 is significantly suppressed in the liver cancer cells compared with normal cells. As a result, the nontoxic ganciclovir is converted by HSV-TK to a cell-killing drug in the liver cancer cells, but not normal cells.